We love this new feature because it adds the power of scheduling to our social media intelligence platform and in the process saves you time. If you’re anything like us, you’re going to love this in the jump up and down; wet yourself a little kind of way. We’ve just released a scheduling feature which might just make you think twice about how you schedule content. Yes – it’s that good! And you will love us for it. See we’re always looking for ways to make your experience of social media simpler and that much more efficient. Because let’s face it, time is a precious resource and there just isn’t enough of it to go around. We love this new feature because it adds the power of scheduling to our social media intelligence platform and in the process saves you time. And yes, this also means that you don’t need to invest in a social media scheduling tool. We designed this new feature as part of the Commun.it dashboard so you don’t need to worry about opening another tab or platform. It’s easy and hassle-free to schedule posts. From the Commun.it dashboard, simply click ‘Schedule’ and then ‘Schedule New Post’. You can schedule posts for multiple profiles at once simply by selecting the profiles from the post box. Currently our scheduling feature is available for Twitter only, but we will be adding other social networks in the near future. Once you’ve added your social post to the post box, you have the option to send immediately by clicking ‘Tweet’, to schedule for later or to add to your Buffer feed (this is only available with a paid account). If you want to schedule the post, you can either click the ‘Best Time’ button or the dropdown arrow which gives you the option to choose between ‘Best Time’ and ‘Custom Time’. There are two ways to schedule posts. You can either let the Commun.it algorithm send the post at the most suitable time by clicking ‘Best Time’. If, however, you’d like the post to be sent at a specific time, click ‘Custom Time’. This will let you set the time the post will be sent. Scheduled posts can be found under the ‘Scheduled Posts’ tab. From here you can edit the post, delete it or reschedule it for another time. Once your post has been sent, you’ll be able to view data on the post by clicking the ‘Sent Posts Analytics’ tab. We provide analytics for every post sent and this includes clicks, retweets and likes. Our analytics. So much more than geekbait! We’ll be the first to admit that we’re kind of geeky and have a soft spot for data. The more of it, the better. And when you get the hang of our ‘Sent Post Analytics’, you won’t be able to resist either. We promise. Our ‘Sent Post Analytics’ gives a sense of how every post you ever sent is performing. And we mean EVERY POST! You can see it all: how many clicks, likes and retweets each post had. Not impressed? Maybe that’s because a first glance, it’s just data. It’s what that data tells you that’s exciting. See, this data tells a bigger story. By looking at the posts with the most likes, retweets and clicks, you can find what’s working and what’s a waste of time. It gives you an idea of where you should focus your efforts, and may also shed some light on the kind of content your community likes best. Pretty powerful stuff, no? What’s the deal with our Best Time Logic? Sometimes deciding when to post on social media can feel like being on the losing end of a game of hit and miss. We get it. That’s why we added the Best Time setting. This will make it easier to optimize your social media scheduling. We designed this to send posts at the best time to increase reach and boost engagement. But more than that, this feature ensures that your posts are always sent at the ideal time. So you never have to worry about overwhelming or inundating your community with content. Sounds good? If you’re interested in using the feature, it’s best to start by clicking ‘Best Time Settings’. Here you can set how often you want to post and on which days. We use this data to create a personalized posting schedule for you. It’s important to note that these settings will be applied to all your social media profiles. What’s the secret sauce that powers our Best Time logic? 10,000 cups of coffee and a touch of awesomeness. Well – that’s just a very small part of it. 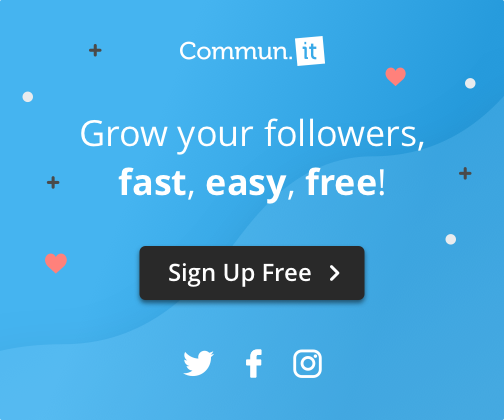 The truth is that we’ve optimized our algorithm to take into account your time zone, your community, how often you post as well as general social media best practices. We compare this data to activity in other social media communities to find the ideal time for you to post. And magic like that doesn’t happen without a decent amount of caffeine. If you’re still using our limited free plan, now’s the time to join us with our business plans, and take 80% off, to make the most out of the scheduling feature!